Do you have a vehicle you’re thinking about donating here in the Queen City? Bring it to Goodwill Car Donation in Charlotte, NC! We accept all kinds of cars and trucks, using their proceeds to support local programs that help disadvantaged members of the community gain valuable job skills. We make the donation process as easy as possible, so simply let us know you’re interested, and we handle everything else — from pickup to mailing tax receipts. You qualify for tax benefits, Charlotte locals get help, and the process is stress-free. If you’re interested in participating, let us help you donate a car in Charlotte, NC. There are lots of reasons why giving away a car you no longer want or need makes sense: you get to put that vehicle to good use by supporting local programs. In the process, you free yourself from having to store, insure and care for that vehicle, saving time and money. In many cases, you may be able to qualify for a North Carolina tax deduction for your gift. On top of all that, there are no headaches or hassles because we make the process as smooth as possible — from beginning to end. 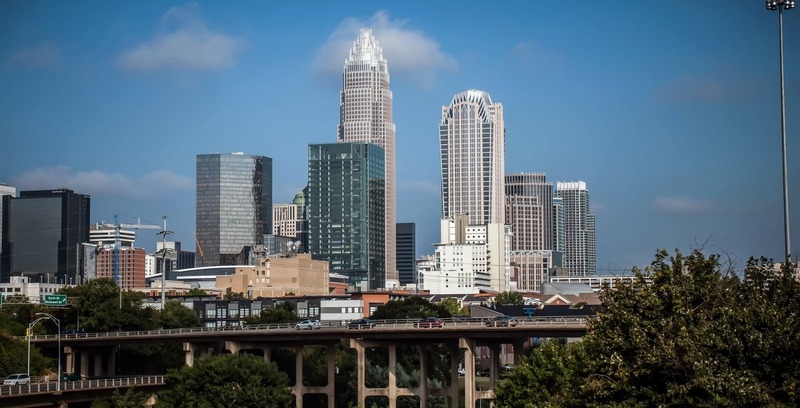 When you want to donate a vehicle in Charlotte, NC, the first step is to get in touch with our team. Call (866) 233-8586 or fill out our online donation form. Once we know you’re interested, we’ll set up a time to pick up your vehicle — at no cost to you. We’ll auction the vehicle and use its proceeds to make a difference in Charlotte. Then, after pickup, we’ll mail you a tax receipt a few days later. Because your donation goes straight into helping members of the Charlotte community gain job skills and get a fresh start, you can feel good knowing your donation matters. If you’re wondering what kind of cars and trucks we will accept at Goodwill Car Donation, the answer is simple: we can accept anything! Even if it’s no longer running, we can take your donation and use it to fund local programs. Some vehicles we take include cars, trucks, minivans, vans, SUVs, RVs, riding lawn mowers, motorcycles, boats, jet skis and even airplanes. From sedans to passenger vans, we take it all. Bring us your recreational vehicles, sports cars and more. Are you interested in donating a car or truck? Let us put it to good use and together we’ll make a difference in Charlotte. Contact us today to learn more. Donate Now!